An experienced digital marketing professional and a proven leader in the field of data & analytics with a track record of bringing customer data into the complex marketing and technology landscape. 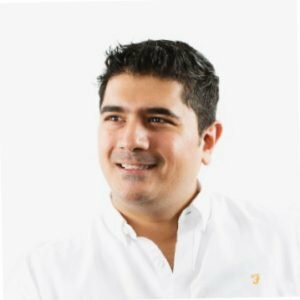 A combination of visionary and pragmatist, Rob creates solutions which blend established business processes with bleeding edge digital techniques. Having worked both as a consultant and in-house he has in depth knowledge of how businesses from multiple verticals can leverage data to power efficiency and growth. Digital channels offer organisations the ability to recognise customers and personalise experiences. What are the opportunities in personalisation? What are the risks associated with failing to deliver personalisation? Rob will expose the journey he has taken the Sky business on to date, the wins, learnings and distractions which have made this area the most challenging and rewarding in his career to date. Many organisations talk about personalisation, this is the story of how a long established organisation embraced relevance and customer centricity to drive business objectives. Without spoiling the surprise; this is about making change happen at speed & scale, not running a complex multifaceted programme. Major themes will cover business design, outcome and objective setting, the role of technology and data, evaluation and performance. Laura Sayag works with L’Occitane’s eCommerce. 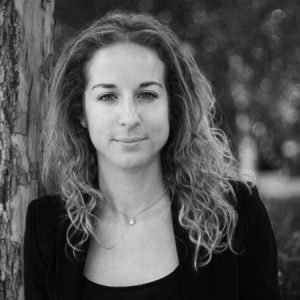 She has also worked for French FMCG giant Group Casino as a marketing business analyst and has broad international experience working in France, Spain and Switzerland. Laura has a Master’s degree in Product marketing from Burgundy School of Business. L’Occitane is an internationally renowned brand of body, face and fragrance products. Established in 1976, today the brand is balancing the retail distribution both direct online, as well as through established retail channels. L’Occitane has made breakthroughs with optimising the ecommerce experience particularly via mobile. Laura Sayag presents an insider perspective on managing the optimisation roadmap for L’Occitane’s digital channels. Laura will explore practical use cases on how complimentary analytics solution such as the UX Analytics tool by ContentSquare is used to identify quick wins and strategic optimisations by the L’Occitane digital teams. Crt has several years of international experience in e-commerce, online business development, digital marketing and marketing automation project management. Experience in CRM/ERP integration and marketing/business/technical workflow integration and automation processes. There are typically two issues that analysts (especially beginner and intermediate level) are faced with, when trying to extract actionable and useful insights out of their data. The first one – data is irrelevant. The second one – data is wrong. Črt will share an analytics approach that solved the problem of irrelevant data through context. Sometimes pure numbers and volumes of aggregated data about users, cohorts, distributions and behavior will simply not tell you anything actionable that you can work with. When that happens you can attach context to your data with a few specific content changes and a few short and simple questions that you ask your website users. The other problem that many are faced is having plain and simply wrong data. This can happen for a multitude of reasons – poor understanding of theory and analytical concepts, mistakes in implementation or misconception or wrong understanding of the user behavior on the website. Črt will share cases and examples, where we made mistakes in our analytical approach, how we found out where the issue was and how we went about fixing it. Marta’s Digital journey started of 6 years ago in Seville, Spain, where she worked with digital marketing of the Flamenco culture. Marta is one of IIH’s homegrown specialists who works on leading international brands. She has developed a deep level of expertise in web analytics, with skills in strategic implementations that enable greater insight from data used across the marketing divisions. With an intuitive creative flair, Marta has been applying data visualisation for storytelling helping brand stakeholders better understand the opportunities or challenges that they face. 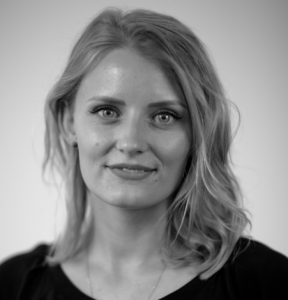 Having now worked in Spain, Dubai and with many of Denmark’s international brands, Marta’s talk will focus on cross-cultural data visualisation. As the Head of Customer Success at TwentyThree, Anders Dalgaard works closely with some of the Nordic’s leading brands with their ongoing Video Marketing Strategy. 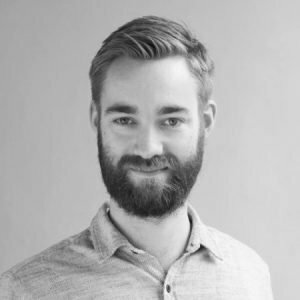 Over the last five years, Anders has worked at the forefront of video marketing and has assisted TwentyThree’s customers in understanding the data from video consumption in order to make better decisions on content production and video use. Data driven video cases is now starting to appear at a much greater rate, and rich engagement data for videos on all platforms is a must have for all TwentyThree customers. In this talk, Anders will present the current state of video analytics from a platform perspective and present selected customer cases on what it means to be data driven when working with video marketing. Video consumption online has (and continues) to rise. Data from video can give deep insights in understanding of what messaging and stories resonate with customer and potential customers. Using video data and insights can not only assist in inspiring your targeted audience to action, but can also reduce many costs of creating, planning and ultimately producing the optimal content. As online analytics becomes more and more mature, video analytics is still in its early stages with best practices in reporting and also integrating video data into the greater technology stack. 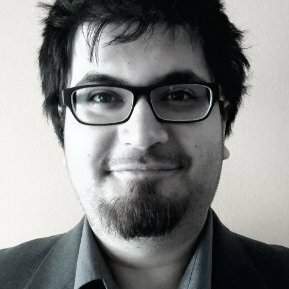 Anders’ talk will explore how video analytics has been successfully used and look into the future of how it will be applied. These are the companies that ensure that Web Analytics Wednesday is a free event with international speakers, catering and are an overall memorable experience. Patrick is a veteran of CRM, social media and a vocal thought leader pushing the boundaries of technology and data. Personalised marketing is rapidly becoming a critical success factor for the majority of brand experiences. Segments are are no longer static and will shift in context to how users are interacting with your brand. Today’s marketing is dependent on an ecosystem of cloud based applications, social networks and information from CRMs. In this talk, Jomar Reyes breaks down the dynamics and similarities of an ecosystem, both from nature and for a company.